Medallion Ceiling Tiles is rated 5.0 out of 5 by 5. Medallion Ceiling Tiles give you traditional but dramatic elegance on a budget. Made from our Feather-Light Series 0.013 in. thick vinyl plastic, they are unlike any ceiling tile you will ever see or feel. You may be surprised by their minimal weight, but their geometric design combined with the inherent strength of vinyl makes these tiles rigid, durable, and easy to install and maintain. Are they drop ceiling tiles? Yes, the Medallion tile is a drop ceiling tile that can be used in standard 1&quot; or 15/16&quot; ceiling grids. Please note that the Medallion has a strong 3-dimensional profile that projects down from the ceiling grid by 1.14&quot; and can only be installed as a full 2x2 tile. Most rooms don't lay out to a perfect 2'x 2' grid so you'll have spaces at the perimeter of your room where you'll need to cut the tiles. We have 11 different &quot;border tiles&quot; that will sit flush in the grid, even when cut down from their full size. 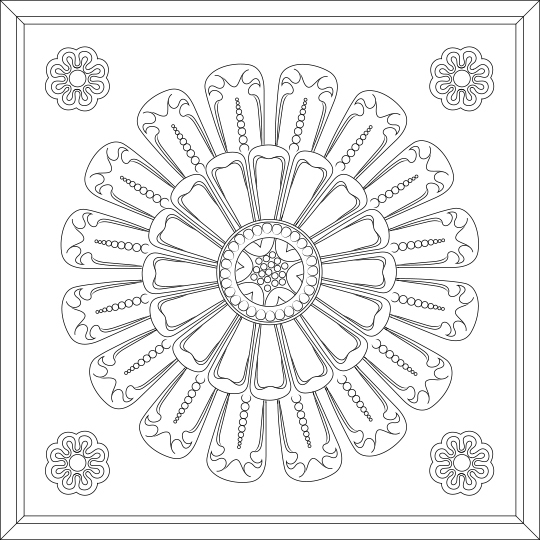 You can view them by following this link: https://www.ceilume.com/products/border/2-x-2/white-ceiling-tiles/ Please call Ceilume at 800-557-0654 with any questions or to request a sample. Ceilume's Medallion tile is available in 11 different colors/finishes, including Translucent. 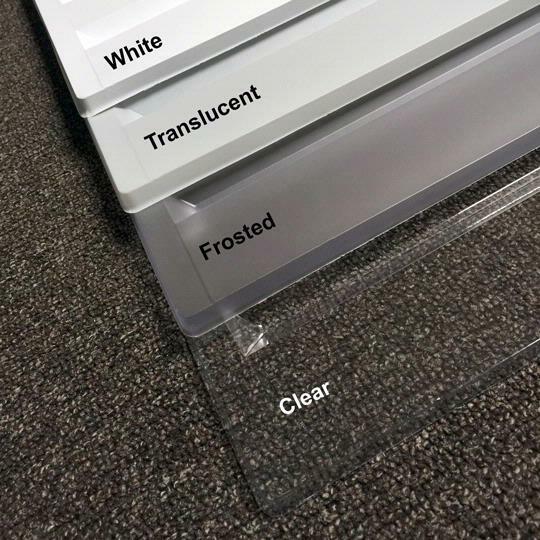 Give us a call at 800-557-0654 if you'd like to see a sample of the Translucent tile to make sure it will work for your project. are these self adhesive tiles? Rated 5 out of 5 by sheila link from Everyone who has seen them loves them and two of the contractors are going to place orders for their own homes because they didn’t know something could look so amazing! Rating a 5!! I LOVE them and so does everyone who comes to my office. We installed the tiles right up to the edges, installed a trim board and finished it with a thin bead of caulk, then painted the whole thing with silver aluminum paint and it looks like a real tin ceiling. Rated 5 out of 5 by Christina Gladney from I truly love my new Ceilume tiles! I ordered medallion tiles in both the opaque and translucent versions in order to accommodate a skylight. I love the natural light that the translucent tiles let in. Also, I think the effect is quite striking. Your company was great to work with. Thanks again for my fabulous new ceiling tiles! Rated 5 out of 5 by sheila link from I just sent you a photo from my phone with a photo, my office is still being completed and isn't totally done but when it is, I will send you a completed photo. Everyone who has seen them loves them and two of the contractors are going to place orders for their own homes because they didn't know something could look so amazing! Rating a 5!! Rated 5 out of 5 by Carrie from Show stopper!! We bought this product to enhance the ambiance of our lobby for our new magic theater. It made the lobby area so much more warm and inviting for our guests, everyone loved it! The picture shows florescent light fixtures, we don't turn them on at all, instead we decided to hang three chandeliers which have a much better light. Rated 5 out of 5 by Jacalyn Lipka from I love the product! It was easy to install and looks amazing! My shop wouldn't look half as good without it.